The ‘corruption’ storm around acting national police commissioner is growing. An affidavit filed in the High Court in Pretoria late on Thursday reveals new bombshell allegations in reply to Phahlane’s court challenge in February that argues the Independent Police Investigative Directorate (Ipid) investigation into him is unlawful. The affidavit alleges that various payments ranging from R10 000 to R250 000 in cash were either made by him or on his behalf from the boot of a state car, and in plastic bags. This was allegedly how he paid for work on his R8 million house in Pretoria. Ipid’s investigation is now considering more allegations of corruption than those originally reported involving how Phahlane paid for his house and a sound system in that house. There are now corruption charges‚ allegations of money laundering‚ defeating the ends of justice‚ intimidation and racketeering against Phahlane. Ipid accuses him of receiving undue benefits while he headed the police forensic science laboratory services‚ and this is related to the awarding of multimillion-rand tenders to forensic equipment service providers. Ipid investigator Mandlakayise Mahlangu in the affidavit detailed allegations of questionable cash payments from the boot of a state car “in plastic bags”. The alleged payments were made to the builder of Phahlane’s house and various subcontractors, done either by Phahlane or an associate of his in the police. The Ipid investigator has also claimed he and other investigators have received death threats‚ which they allege, by using cellphone records, emanated from the SAPS crime intelligence headquarters. 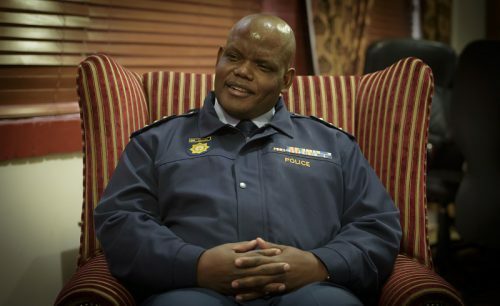 The affidavit alleges the Ipid team suspects a senior policeman has been attempting to threaten witnesses into making statements more favourable to the police and the top cop, Phahlane. Ipid earlier this year was searching for the paper trail on a more than R80 000 sound system installed into Phahlane’s R8 million mansion by a manufacturer of chemicals used in police forensic investigations, who allegedly purchased the sound system.